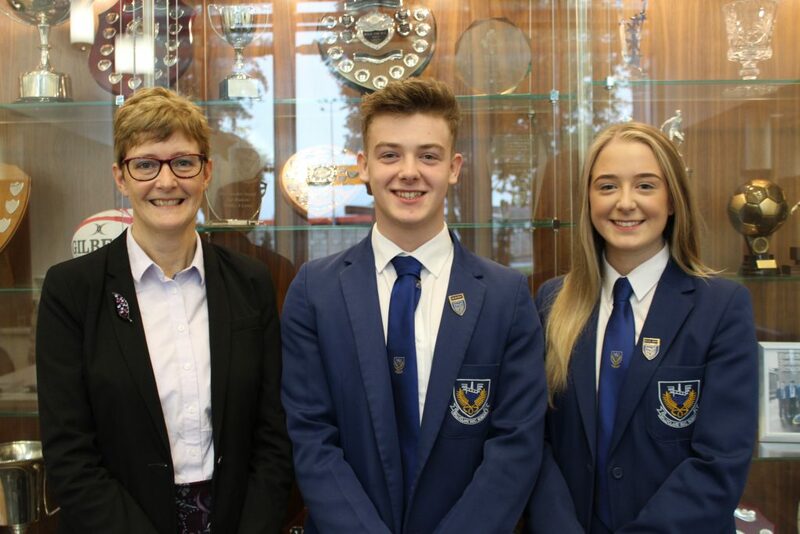 Cameron Harvey and Leah Smyth have been appointed to the positions of Head Boy and Head Girl for 2018-19. Read below their thoughts on their recent appointments and their plans for the incoming year. What was the interview process like and how did you prepare? It was a great privilege to be chosen for an interview for the role of Head Boy. When the letter came through the post I began thinking of the skills I have that would make me suitable for this role. For the interview process I created a PowerPoint with the title “The Head Boy has a vital role to play in the life of the school”, in this presentation I included skills, qualities and experiences that I believed would make me a good Head Boy I also included my contribution to the life of the school and what I believe the role of Head Boy is. I practiced numerous amounts of times, reading over my notes on the PowerPoint and practicing in front of my family time and time again. The time leading up to the interview I was very anxious and nervous about delivering my PowerPoint to four of the school’s senior teachers including our school principal, however I was made very welcome and relaxed before beginning my presentation. Why do you think that you were chosen? The competition was very tough for the Head Boy position as we had all achieved so much and were worthy of the role. I believe I was selected due to my active participation in school this is shown by my involvement in numerous extracurricular activities and sports like the school football team, but also my work in several open nights and as a Year 8 class prefect. I also believe over my several years at ballyclare secondary I have been able to build up good relations with not just my fellow pupils but also with all members of staff. What plans do you have for the incoming year? Along with completing my A-levels to the highest standard possible, I wish to have a positive impact on school life for pupils and staff a like and give back the faith and investment the school has given to me over the past 6 years. 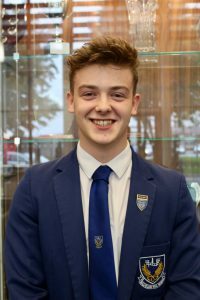 I am very honoured to be the Head Boy of Ballylcare Secondary School for 2018-2019, it is something I will always be proud of and it will stick with me forever. During my time as Head Boy I will try my absolute best along with the Head Girl, staff and prefects to be a credit to the school. I was incredibly honoured to have even been selected for this position, so I got stuck right in to preparing my presentation as soon as I received the news. Naturally, I was very nervous to speak in front of the senior staff members, but they made me feel incredibly relaxed and were engaged throughout my interview. I prepared thoroughly by constructing a PowerPoint presentation outlining my qualities, contributions to the school and why I thought I would be the ideal candidate for Head Girl. By rehearsing it several times in front of my parents and creating flash cards summarising each main point, I was well prepared and very organised which proved to the staff members that I had taken this selection process very seriously. The main area that I discussed was based on how the Head Girl has a vital role to play in the school, and by linking my own skills, qualities and experiences to this statement, I was able to prove to the staff interviewing me that I was willing to take the role on board with full dedication. Finding out that I was chosen to be the new Head Girl of Ballyclare Secondary School was overwhelming, but I believe I was chosen because of my genuine passion for the school. I have always strived to change the school for the better and make it a positive environment for not only my peers, but all pupils who attend the school. I also believe I was chosen due to the mature delivery of my presentation, proving that I’m willing to be responsible and reliable. I also share close relationships with not only my fellow peers in sixth form, but also many of the staff members. My active role in school life may have also driven my position as Head Girl as I have volunteered for numerous extra-curricular activities and play an active role in the school’s Duke of Edinburgh committee. Alongside the Head Boy, I am in charge of leading the team of school prefects, meaning I must make sure they’re turning up for their duties and communicating any problems they may have to the staff. I act as a link between the staff and pupils by helping younger students, meeting and greeting visitors and acting as the general face of the school by promoting an excellent standard of school uniform. I also have a large role to play when it comes to planning school events, such as the annual school formal and representing the school at the Remembrance Day service in Ballyclare. Primarily, I want to focus on promoting a hard work ethic and building your own success story. I want pupils to understand that they can come to me if they have any issues and that I am here to make sure their voices are heard. I hope to leave a lasting legacy by ensuring our planned events such as the school formal, open night and presentation evening are the best they can be. I hope that we can make school a fun, memorable and rewarding experience for all pupils regardless of their abilities. As the visual representative of the school, I also hope to ensure that the standard of uniform is upheld appropriately and act as a role model for younger students. 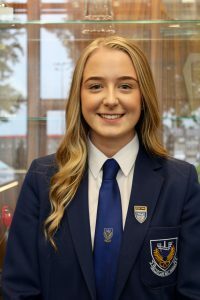 I hold pride in being the Head Girl of Ballyclare Secondary School for 2018-2019 and I promise to live up to the standard that is expected of me. I cannot wait to develop upon our upcoming plans and be more involved in the life of the school than ever before.